Rotorua is a place of epic natural beauty, but why enjoy it passively when you can pair the scenery with an amazing range of outdoor activities? Here are six great ways to actively take in Rotorua’s scenic beauty. The Rotorua Redwoods boasts one of the oldest and largest mountain bike networks in the country, with master crafted trails, unbeatable riding surfaces, well-drained volcanic soils, varying topography and fantastic scenery. With around 130km of continually evolving trails, there is something to cater for all levels of rider, from beginners and family groups through to experts looking for extreme action. Climb the tails for some epic views and enjoy the towering Redwood trees as you race through the bush. The Kaituna River flows from Lake Rotoiti and is host to three waterfalls, including the highest rafted waterfall in the world, the 7M Tutea Falls. Whether you are a first time rafter or a white water legend, you will enjoy one of the most exciting and beautiful rivers that New Zealand has to offer. 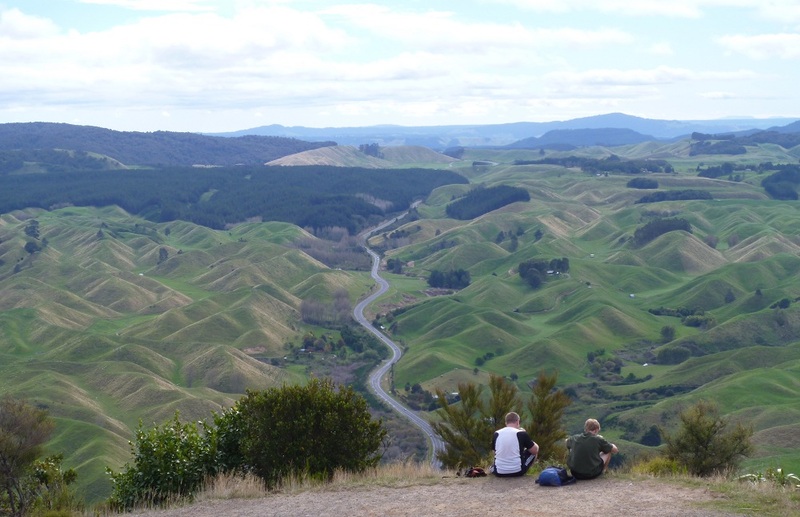 Just 26 km south of Rotorua, the summit of Rainbow Mountain rewards with a 360-degree view over the surrounding region. Pass by two colourful cater lakes at the start of the path and continue upwards through regenerating native vegetation and the bare, coloured and steaming ridges. A rigorous one hour and 30-minute hike results in panoramic views of the Lakes Region, Mt. Tarawera and the volcanic peaks of Tongariro National Park. Enjoy a three-hour Canopy Tour on a 1.2 kilometre network of six ziplines, swingbridges and treetop platforms up to 22 metres high in the canopy of Rotorua’s ancient native forest. Learn about the flora and fauna endemic to New Zealand and be a part of the local conservation project that is working to protect the unique plants and birds that live in the forest. Stand Up Paddle Board (SUP) down the channel that connects Lake Rotorua and Lake Rotoiti, which is surrounded by historic maraes, scenic reserves; and a riverbank lined with native trees and birds. Learn the basics of SUPing and the more advanced skills of reading currents while taking in the natural beauty. Suitable for paddlers of all levels. Play one of New Zealand’s leading golf courses situated in the centre of Rotorua’s geothermal fields. Arikikapakapa is a full 18 hole, par 70 course providing variety and challenge with many holes played over and around both dormant and active thermal areas. If you’re a keen golfer, this all-weather links-style course is a unique thermal golfing experience in the heart of New Zealand’s premier visitor destination.